“It is everything” is how smallholder farmer Nyovane Ndlovu describes beekeeping, which has long been an alternative sweet source of income for drought-beaten farmers in Zimbabwe. Today, one in six people on the planet go hungry, according to United Nations statistics. The food crisis and now the global economic crisis, together, have increased the number of undernourished people in the world to more that one billion for the first time since the 1970’s. Much of southern Africa continues to face severe food shortages, largely the result of one of the worst droughts in a decade followed by erratic rains. While the Latin American and Caribbean region as a whole is a net food exporter, food price inflation is still having a detrimental impact on the income, nutrition, and health of poor consumers. Solutions must be carefully crafted in each region, country and community taking into account local priorities. The complex web of issues surrounding food security and rural development include farmers access to markets, the adoption of international trade rules, technology transfer, the sustainable use of limited resources, and the application of traditional knowledge, among others. Establishing a prosperous, sustainable economic future for the world means placing a spotlight on agriculture - and giving a voice to farmers. 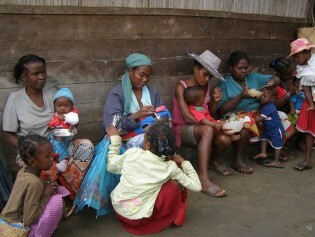 IPS News is covering the food crisis, its causes and its effects, from both a local and a global perspective.